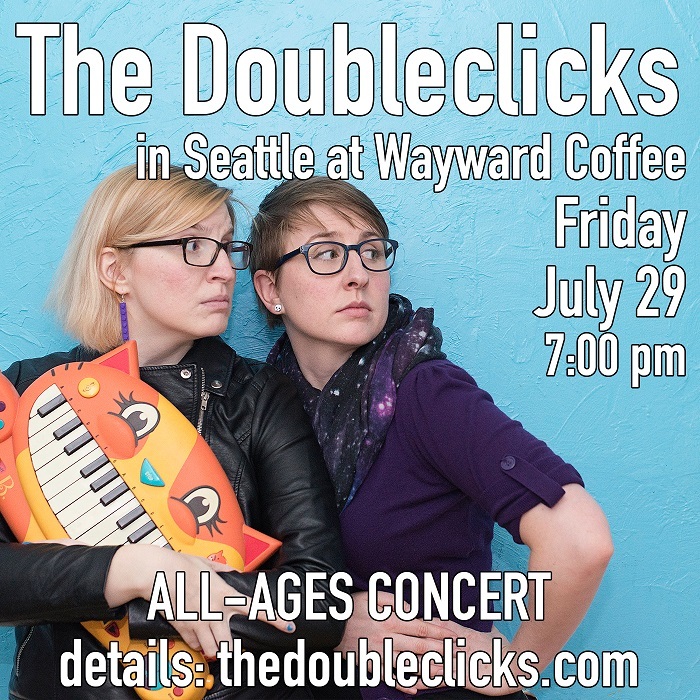 We are so excited that The Doubleclicks are coming back to perform at Wayward Coffeehouse on Fri, 7/29, 7-10 pm. This is an all-ages show and there is no cover, though we hope you’ll support the musicians with a donation (we suggest $10).They will also have CDs and other merch available so you can show that you support the geeky music duo after they head back on the road. Its been a few years since they played at Wayward because they’ve been busy on tour across the U.S., making albums, running awesome Kickstarter campaigns, being geeky, and writing songs! Its going to be an fantastic evening of geekery and music!